The U.K.’s latest offshore licensing round has attracted 36 applications covering 164 blocks in frontier areas of the U.K. Continental Shelf (UKCS). A strong and diverse set of applications were received from 35 companies ranging from multinationals to microbusinesses. “This is an encouraging set of applications, demonstrating that interest in U.K. offshore licensing opportunities has increased since the 29th frontier round held in 2016, with an almost 50 percent increase in the number of blocks applied for,” said Dr. Nick Richardson, Head of Exploration and New Ventures at the U.K. Oil & Gas Authority (OGA). 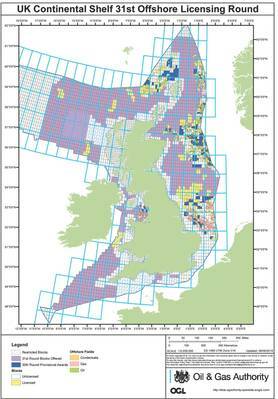 The 31st Licensing Round, which closed on Wednesday, November 7, offered opportunities to acquire acreage across the UKCS’s extensive frontier areas, including the Atlantic Margin, East Shetland Platform, Mid North Sea High, and English Channel, with an aggregate area exceeding 370,000 square kilometers. “The recent publication by the OGA of a comprehensive re-evaluation of the UKCS’s Yet-to-Find potential points towards an additional exploration resource base of 4.1 billion barrels of oil equivalent (Bboe) in prospects and leads and 11.2 Bboe in plays, largely in frontier areas, with a bias towards gas-rich opportunities. 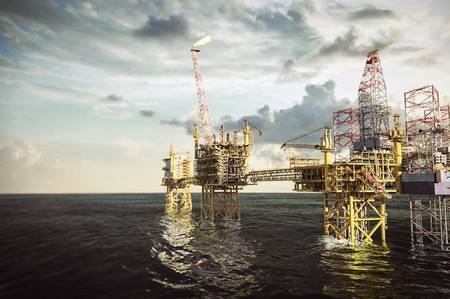 Attention will now turn to the 31st Supplementary Round in the Greater Buchan Area, scheduled to be launched in Q1 2019, which will provide an opportunity to develop and explore for a cluster of opportunities in a prime area of the Outer Moray Firth. The OGA will release a package of supporting data, and is encouraging companies to partner up and collaborate in an Area Plan approach to maximize value from the estimated 150-300 million barrels of oil equivalent (MMboe) within this area. The OGA's long-term plan includes offering regular licensing opportunities to industry with annual rounds, alternating between mature and frontier areas. The next mature licensing round is scheduled to be launched in mid-2019, and will be supported by the U.K.’s flexible licensing regime.